Remember all the songs which were released under SM Entertainments 'S.M. Station' project? Well, they are now releasing a compilation album for it and that includes SNSD TaeYeon's 'Rain', SNSD YoonaA's Deoksugung Stonewall', HyoYeon's 'Mystery', Yuri and SeoHyun's 'Secret', Tiffany's 'Heartbreak Hotel', f(x) Amber's 'Borders', and a lot more! 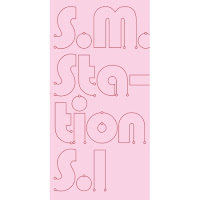 This album will include 57 songs of various SM Entertainment Artists (4CD), Behind Cuts, and a Photobook.